Though their heyday was undoubtedly the 1950s and 60s, giant monsters have rampaged through the movies long before and long after the era that saw the arrival of the Big Bugs, Godzilla and friends, and Ray Harryhausen’s stop-motion marvels. Obviously, King Kong casts his long shadow from 1933, but before him were the dinosaurs of The Lost World in 1925 (whose climax features the first city rampage), and even earlier, Georges Méliès gave us the likes of the Frost Giant from The Conquest of the Pole in 1912, and the titular Gigantic Devil in 1902. So, when all is said and done, we have had well over a century of giant monsters stomping (or, in Méliès’ case, cavorting) across our screens. I’m trying to tackle the question from a particular angle, given the theme of Shaun’s site this week. What, exactly, is the joy that these creatures give us? And oh, why be coy: what is the joy they give me. They have for as far back as my conscious memories reach. I could go on about the symbolic riches they provide, such as the multiple, simultaneous readings embodied in Kong, the entangling patriarchy of It Came from Beneath the Sea’s octopus (defeated by the ingenuity of Faith Domergue), or Godzilla incarnating nuclear war in one film, enraged nature in another, or the vengeful spirits of the victims of Japanese war crimes in a third. And while it is true that these represent many of the joys I find in monster films now, they are only partial explanations. These reasons are encrustations, new pleasures that have grown on top of the old ones, but the old ones are still there. To put it another way: while I am fascinated by Cloverfield’s allusions to the first Godzilla film as a way of underscoring the big thematic concern shared by both films (the re-enactment, in fantastic terms, of very recent national traumas), there is no getting away from the fact that my biggest thrill in watching that film is the giddy excitement of seeing that monster wreck stuff. Let me put it more nakedly yet: when, in the VHS era, my brother and I were finally able to binge on all the Godzilla films, one of our primary criteria for deciding which ones were better than others was how much real estate was trashed. Monster fights in urban centres were way cooler than slugfests in the countryside (and this is a treat that Pacific Rim delivers in full during the Hong Kong sequence). So there is joy in destruction, as we have known since childhood. Isn’t this the main reason we play with building blocks? So we can spectacularly knock down what we laboriously construct? 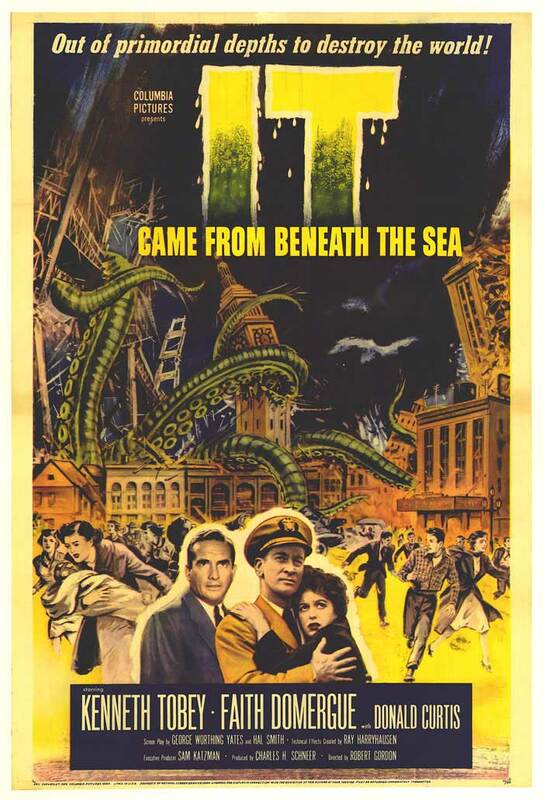 In this respect, the monster movie and the disaster film offer overlapping pleasures, but not identical ones. To focus only on the falling skyscrapers would be to miss the importance of the monster itself. It has been said (and I apologize for not recalling where I read this first), that one of the reasons children love dinosaurs so much is that they are non-threatening embodiments of power, embodiments that we first encounter when we are at our most powerless. If the power fantasies in super-heroes are ones where we suddenly have the ability to right the wrongs of an imperfect world, the monster gives us the ability to show an unfriendly world exactly what we think of it. Sometimes, we don’t want to save it. Sometimes, we just want to trample it underfoot. And that trampling is justified: with the exception of creatures such as King Ghidorah or Iris, who are the antagonists fought by the protagonist monsters (Godzilla and Gamera, respectively), the truly evil giant creature is rare indeed. * Kong, Godzilla, Gorgo, Gamera, Rodan, Mothra, Gwangi, and so on and on and on, even at their most vicious and destructive, have a core of innocence. They are more sinned against than sinning. 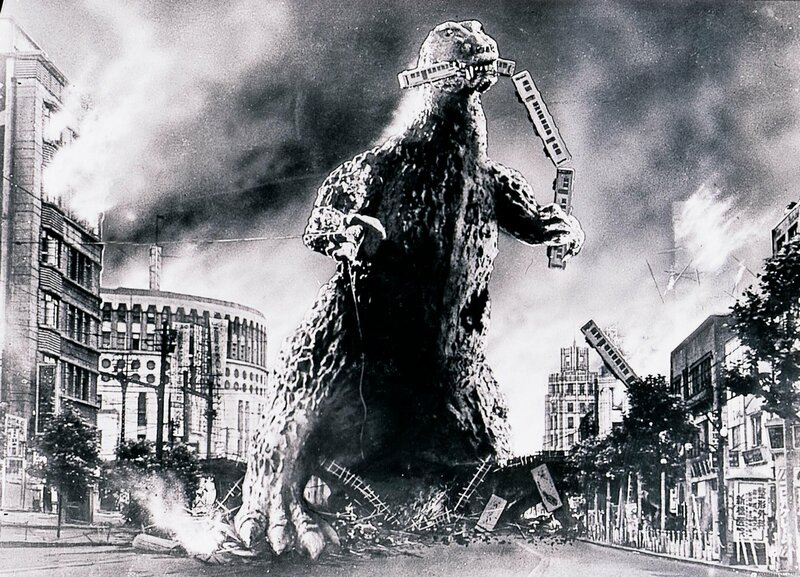 It is telling, too, that though the 1954 Godzilla is still arguably the grimmest, most despairing giant monster movie going, and emphatically not aimed at children, it would not be too many years before the reverse would be the case, and the character had become a super-hero. 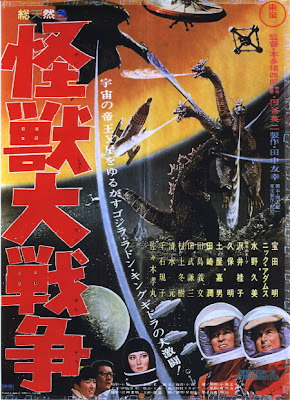 The joyless film somehow leads to the infamous-yet-infectious expression of joy that is Godzilla’s dance in Invasion of Astro-Monster (1965). 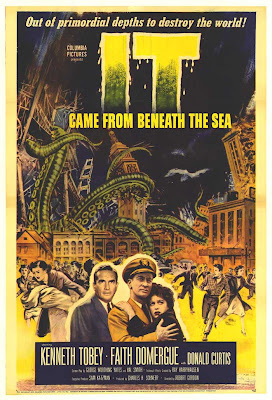 So the joys of the giant monster films are very much paradoxical. 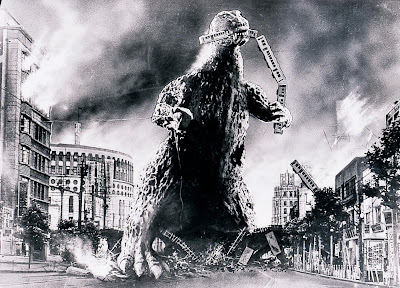 Even in the case of the darkest films (and let there be no mistake: Godzilla is about as bleak as they come), when the fears and traumatic memories of the audience are receiving their fullest, most graphic expression, there is still that anarchic joy to be had. There is still the excitement inherent to the rampage itself. Let me close by suggesting one further possibility. The rampage almost never truly comes out of the blue. ** As baffling as the monsters are for the terrified, fleeing masses, there is always a context for them. 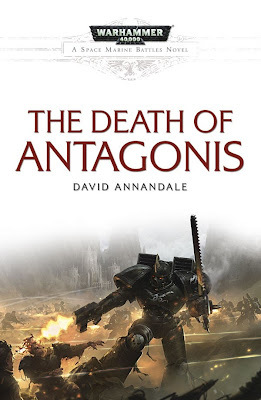 I propose that we see the creatures as examples of the Event as defined by Alain Badiou: something that a particular system cannot account for, or even imagine, but that is nevertheless a result of that system, and shatters it. Perhaps, then, at some level, our joy is the result of recognizing the monsters as necessary. They’re certainly necessary for my inner child. ** Cloverfield is an obvious exception here, in that the monster appears to have literally fallen from the sky. Its anomalous position is, I believe, a pointed one: one of the many aspects of 9/11 that the film is evoking is the confusion and terror of those on the ground in the middle of the event, people for whom, at that moment and in that place, the broader picture of why these things are happening is irrelevant. 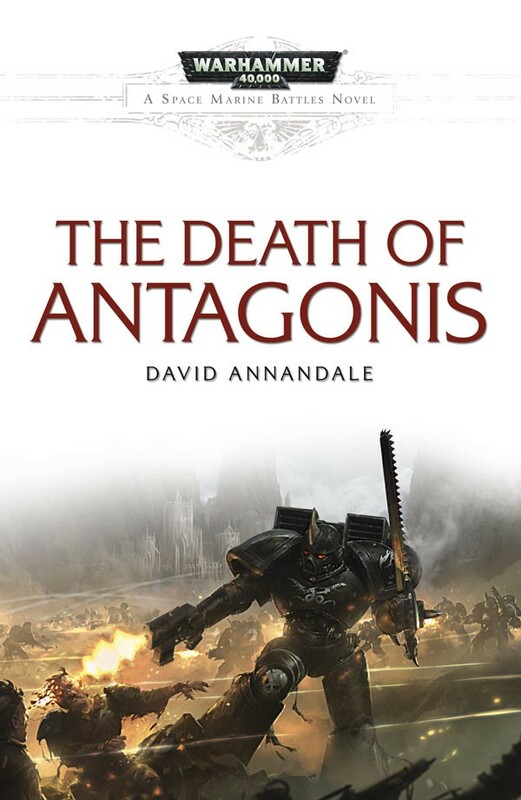 David Annandale brings doom to untold billions as a writer of Warhammer 40,000 fiction for the Black Library, most recently in the novel The Death of Antagonis. As the author of the horror novel Gethsemane Hall, he hopes to end sleep for you forever. During the day, he poisons minds as he teaches film, video games and English literature at the University of Manitoba. If you have any fragments of hope still left, you can have them crushed at his website or by following his Twitter account. P.S. : If you want to hear David's take on Pacific Rim, check out this episode of Shoot the WISB!